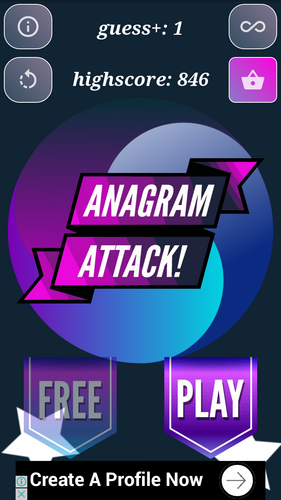 Anagram Attack is a fun new anagram word game! 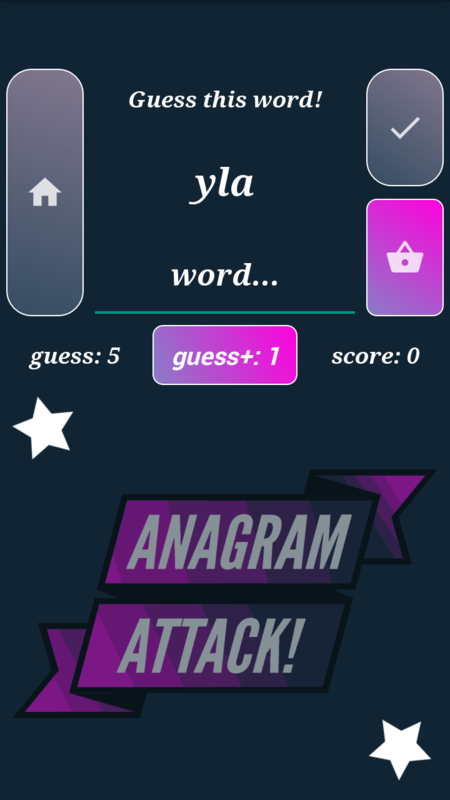 Try to unscramble new words, which are all randomly generated with increasing difficulty. You are able to select your difficulty from easy, normal or for the word masters; hard difficulty with 8+ letter words. You can compete in classic mode to get the highest score and use gems to help you along the way. Anagrams have never been this much fun - PLAY NOW! A simple UI and graphic design allows you to focus on unscrambling those anagrams. ★ Increases your vocabulary and spelling! ★ Clean UI with simple color palette! 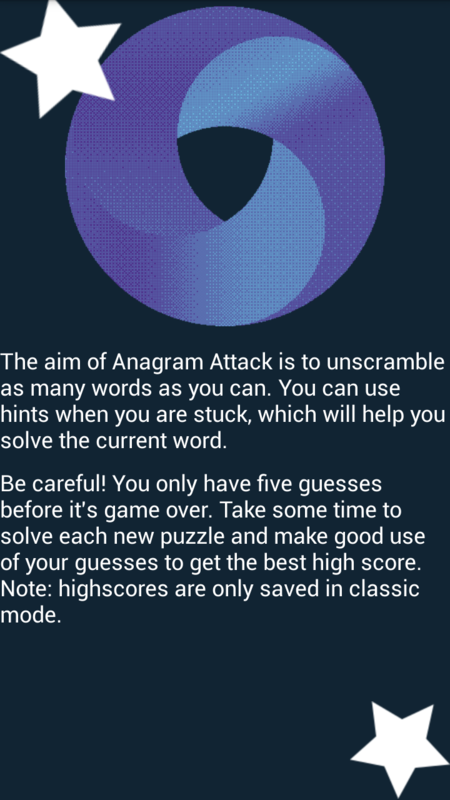 ★ Words ranging in difficulty from easy to hard! ★ Fast responsive app & ONLY 3MB! ★ Drains very little battery! ★ Offline Play [FULL Functionality]! Challenge yourself to score high! Find as many words as you can! 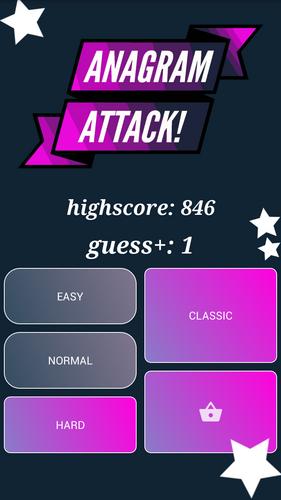 A Universal App with optimized graphics By IvezTech Copyright (c) IvezTech 2017. All rights reserved.